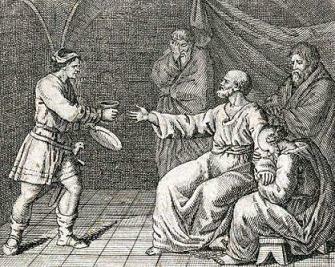 For centuries suicide was primarily a theme discussed within religion and ethics. The central question was whether the taking of one's own life was right or wrong. Depending on the differing moral judgements on the question, suicide is often described as leaving life voluntarily or as killing oneself. With the establishment and development of the individual disciplines within the humanities and the social sciences, research into suicide became an academic discipline. In the 19th century psychological and medical aspects entered the debate, alongside the theological and philosophical questions which had formed the main focus of discussions on suicide since the time of the Ancient Greeks. Mental illness, psychological disturbances and anatomical as well as pathological observations were of particular interest. In many cases moral prejudices appeared to find scientific confirmation here. Empirical data were initially rather scant but with the introduction of statistics at the beginning of the 20th century a clearer picture of the frequency and distribution of cases of suicide began to emerge. Ever since it has primarily been the collection of quantitative data which provides new knowledge on the subject of individuals taking their own lives. The influence of natural occurrences (such as weather, temperature or time of year) has been studied, as well as the frequency of suicide in particular countries, specific places and in specific population groups. Thus it has, for example, been found that the frequency of suicide among school children is higher than among the working population. Most suicides occur in spring and autumn, and mostly on Mondays. Contrary to popular belief social status plays no role at all. Unfortunately, exact statistics on suicide are not available. Experts estimate that statistics contain a very high uncertainty factor. This is largely due to the fact that relatives often disguise cases of suicide as accidents or misfortunes. Christian culture almost always forbids suicide –life is seen as a gift from God which may not be destroyed by the recipient –in far eastern or Arabic cultures suicides undertaken to restore one's own honour, that of one's family or of one's people is a widely accepted social practice. That the method applied in such situations is considered important is shown by the rituals of Seppuku, Kamikaze and Harakiri as transmitted from Japan. But even for a German or British officer of the 19th Century it would not be considered proper for him to depart this life by hanging himself. A gentleman, of course, would shoot himself. Suicide is also a well known theme in literature and fine art. In art the most frequently reproduced case is that of Lucretia, the Roman woman who took her own life because she had been raped by a relative. No less well known is Cleopatra's death through the bite of the viper after her political and personal down fall. Alongside these important examples from antiquity there is «Die Leiden des jungen Werther», the best known literary case in more recent times. In the «Divina Commedia» Dante dedicated a complete chapter to suicides and thereby provoked a series of famous Illustrations. The most complete bibliography on the subject of suicide was produced by Hans Rost in 1927. 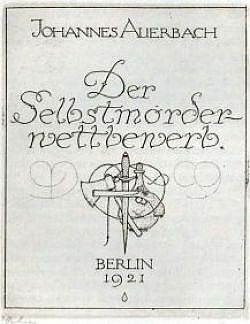 His «Bibliographie des Selbstmords» contains over 3700 sources from Germany and abroad, including many newspaper and magazine articles. Hans Rost maintained contact with bibliographers and scientists all over the world and thus was not only able to compile information on literature but also able to establish a rich collection of literature on suicide. He divided the suicide literature into 60 groups. In addition to the groups already mentioned, one can, for example, find literature on the methods of killing oneself, on double, family and mass suicides, on the punishment of suicides, on suicide by soldiers, and even suicide by animals. There are alone 100 works on euthanasia in the bibliography. Not only is Rost's bibliography a fascinating book to read, it also draws attention to otherwise often undocumented aspects of suicide. Rost himself owned approximately 1000 of the titles listed in the bibliography. His library still exists. In his testament he left it to the State and City library of Augsburg, where it continues to be displayed as a special collection today. As an inspection of various library catalogues shows, a large part of Rost's collection is very rare; all the foreign language works, for example, are available in Augsburg only. Two thirds of the works are in German, 15 percent in English and 10 percent in French. 12 percent were published before 1800, 38 percent in the 19th Century and 50 percent between 1900 and 1945. 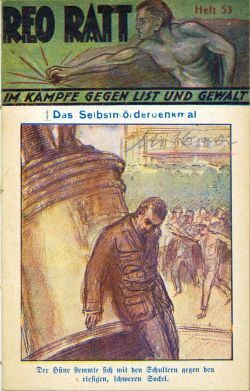 As of today, Rost's collection is considered to be the best library on the subject of suicide in Germany. Hans Rost was the author of 25 contributions in this edition. In one article he extensively describes the creation of his collection. A failed attempt to write a doctoral thesis on the statistics of suicide at the Institute of Political Science of the University of Munich triggered his interest in the subject. 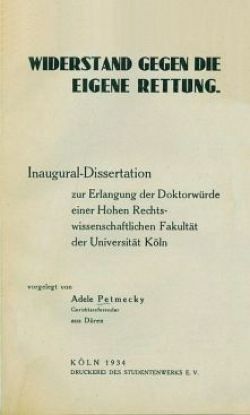 Max von Boehn's bibliography and the latter purchase of his library provided the base of Rost's own bibliography and collection. You can order single works and excerpts from our microfiche editions not only as microfiches but also as PDF files. For further in­for­ma­tion please consult our price information or send us an email. Our online editions are available at www.fischer-download.de for reseach and purchase. NEW: Single works as well as collections can now be subscribed by all our customers. Please send us an email for further information.